Fastbind LamiFree™ tacking sheets do not require lamination as they are specifically designed to resist environmental conditions that adversely affect regular paper and are intended for laser printing only. With over 20 years of experience using materials to make hard covers, Fastbind's cover tacking sheets are second to none! 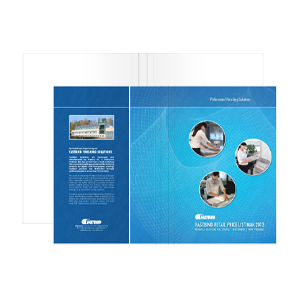 With attention to both printing quality and long durability in mind, Fastbind has engineered the perfect material to make your custom printed hard covers. Fastbind offers printable tacking sheets for laser and high resolution inkjet printing. You can order them in standard or large format sizes. Fastbind inkjet printable paper is also available in rolls for extra large applications. We highly recommend laminating the prints printed with inkjet or laser tacking sheets to make the cover more durable. Fastbind LamiFree laser printable tacking sheets do not need laminating. Strong and durable material with a professional look and feel! Fastbind offers soft covers printable material for laser printing. You can bind from 0.1 to 30 mm thick books. Each box contains 250 pieces (450 x 297 mm). Fastbind printable soft covers are available both as pre-creased and plain versions.